Algerian Talmudist; flourished at Algiers in the sixteenth century. On his mother's side he was a grandson of Solomon b. Simeon Duran, and therefore a descendant of Naḥmanides and a great grandson of Simeon b. Ẓemaḥ Duran I., to all of whom as his ancestors he refers frequently in his responsa. 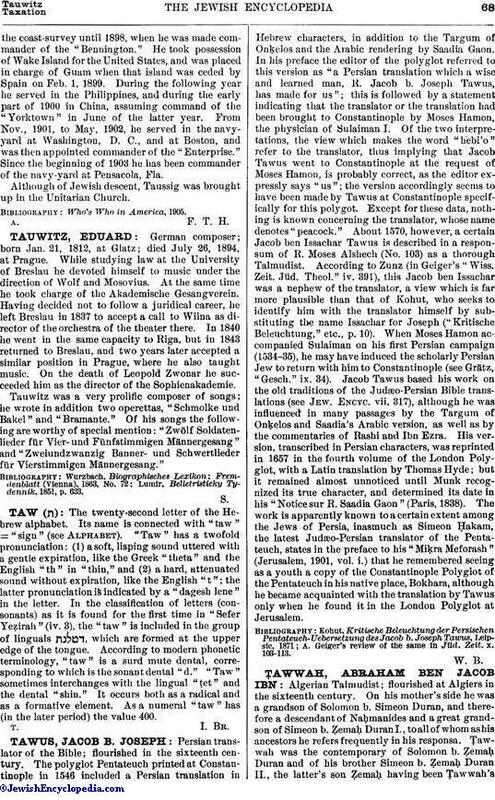 Ṭawwah was the contemporary of Solomon b. Ẓemaḥ Duran and of his brother Simeon b. Ẓemaḥ. Duran II, the latter's son Ẓemaḥ having been Ṭawwah'spupil. Of Ṭawwah's responsa thirty-five were inserted in the fourth part of Simeon b. Ẓemaḥ Duran's responsa entitled "Ḥuṭ. ha-Meshullash"; others are quoted in part and also copied by various authorities. 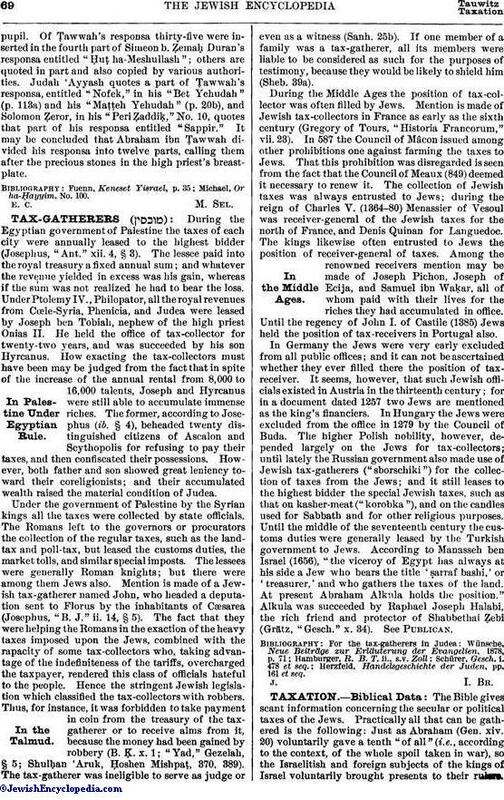 Judah 'Ayyash quotes a part of Ṭawwah's responsa, entitled "Nofek," in his "Bet Yehudah" (p. 113a) and his "Maṭṭeh Yehudah" (p. 20b), and Solomon Ẓeror, in his "Peri Ẓaddiḳ," No. 10, quotes that part of his responsa entitled "Sappir." It may be concluded that Abraham ibn Ṭawwah divided his responsa into twelve parts, calling them after the precious stones in the high priest's breast-plate. Michael, Or ha-Ḥayyim, No. 100.